Today I've played a bit with WebKit. I Want do something like Cocoa VBox View and NSScrollView but with more flexibility. Below you can see the example result. 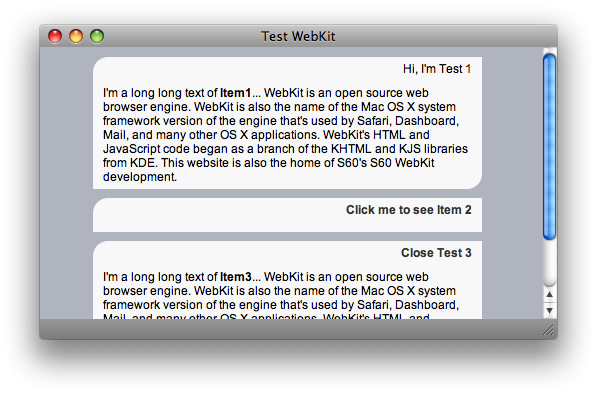 The interesting part of this example is How to manage WebKit content, and how to add something dynamically.